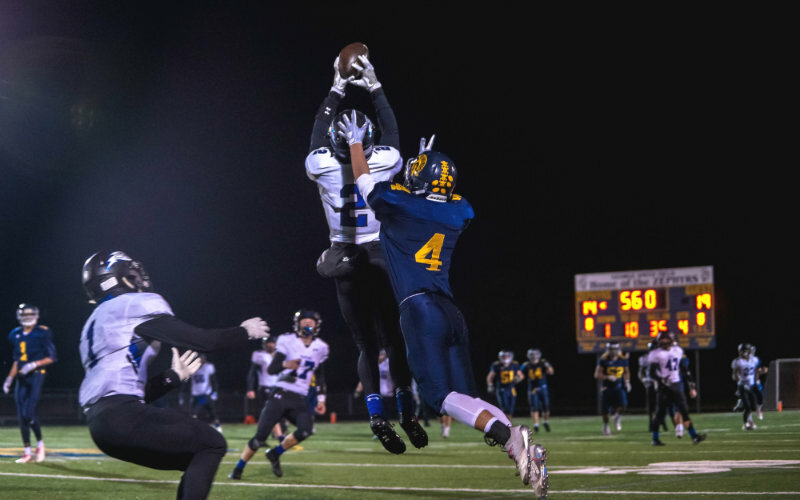 With approximately half the votes, Korey McDermott's image featuring Tartan's Antwan Kimmons in a Class 5A, Section 4 semifinal on Nov. 2 as he elevates for an interception over Mahtomedi's Tyler Tangwall is the MN Football Hub Photo of the Year. The Titans defeated the Zephyrs 19-14 with Kimmons catching four receptions for 79 yards and a touchdown on offense, in addition to his turnover. Korey's shot will compete to be the MN High School Hubs Photo of the Year at the end of spring season. The MN Football Hub Photo of the Year poll is for entertainment purposes only. Gopher recruit Jason Williamson scored touchdowns on runs of 71 and 44 yards in the second half to lead the Huskies to a 14-3 victory.